There’s a lot of things in Toronto worth snapping a picture of. The city is blessed with an abundance of green space, beautiful beaches, and a diverse array of neighbourhoods, each with their own distinct personality. Not forgetting its instantly recognisable skyline and unique architecture. If you’re looking for some of the best spots in Toronto to get a great picture, here are my 7 favourite places. One of the city’s most recognisable landmarks also happens to be one of the most Instagrammed. Located across from City Hall, Nathan Phillips Square is always a hive of activity. No matter the season, there’s a something happening: winter skating, a concert or the weekly farmer’s market. 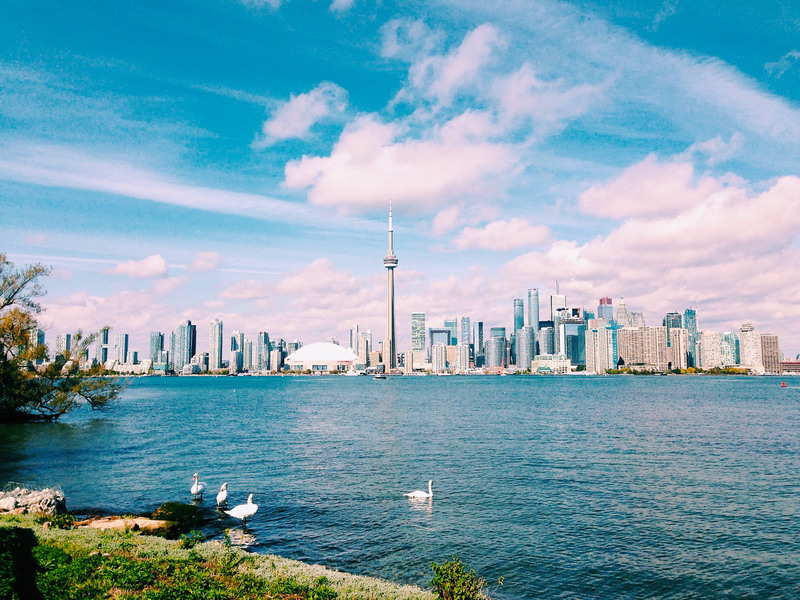 The iconic view of Toronto’s skyline from either the Toronto Islands or the ferry going to the islands is one of the most popular tourist attractions. By taking the ferry, you can get off at either Ward’s, Centre or Hanlan’s Islands, and all of them offer a slightly different view. Insider tip: If you want to try to get a sunrise shot, this is the place to go as the sun rises behind the city. This vibrant alleyway runs south of Queen Street West from Spadina Avenue to Portland Street. Beginning at Rush Lane is a justifiably popular spot to nab insta-worthy snaps. It’s bold, it’s bright, it’s fun and it looks great on Instagram. Sugar Beach, a whimsical 8,500-square-metre beach park, gets its sweet name from the old Redpath sugar factory located right next to it. 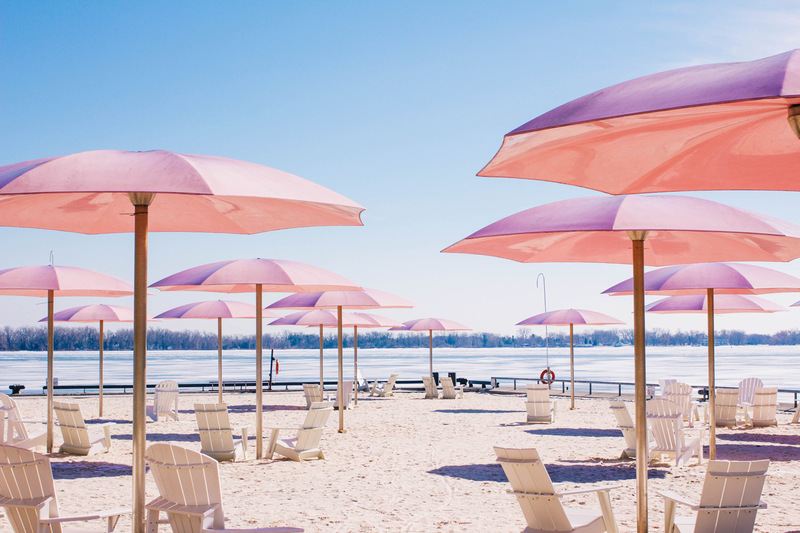 The sandy urban beach features ornamental lighting, adorable pink umbrellas and Muskoka chairs. Along with maple trees that line the promenade at the water’s edge, Sugar Beach is an Instagram waiting to happen. 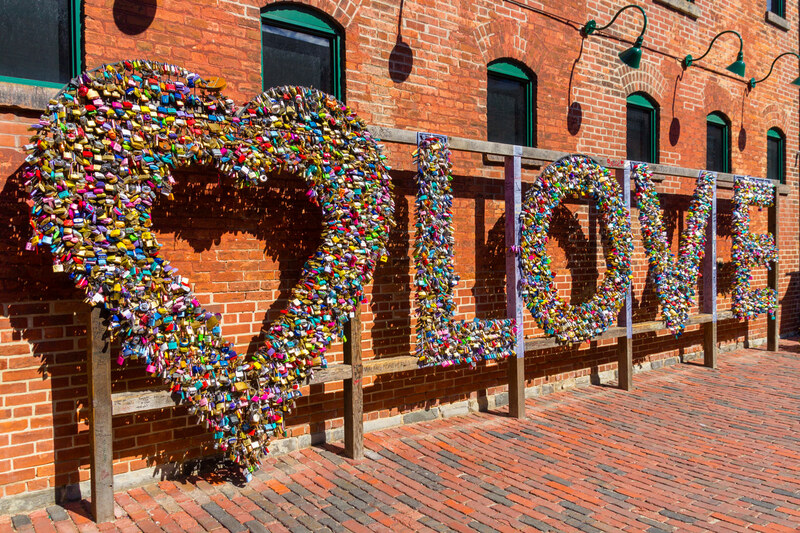 The red brick walls, cobblestone streets and quirky art installations make the historic Distillery District one of Toronto’s most picturesque and photographed areas. About 10 years ago, this Victorian industrial site was transformed into a cultural hub full of unique shops, restaurants, cafes and galleries. It may have never housed royalty but its grandeur won’t disappoint. 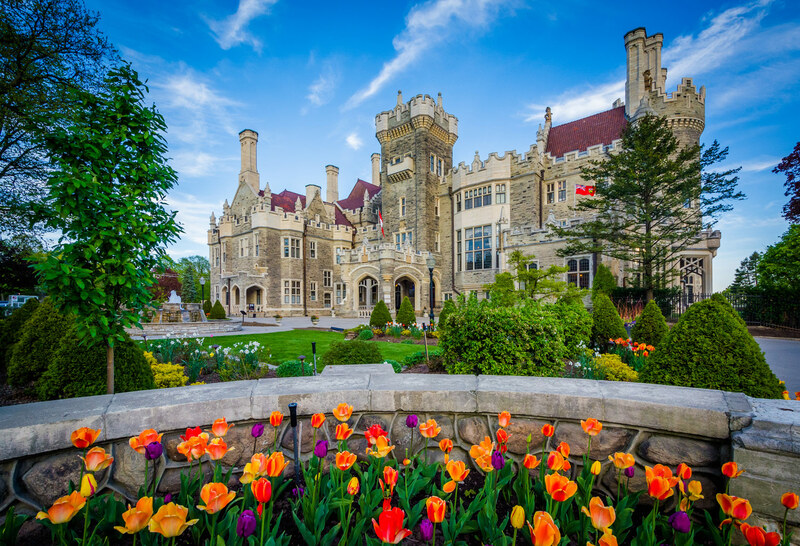 The gothic-revival-style mansion and garden is smack in the middle of midtown Toronto. From the garden, you can also get great cityscape shots. The house was originally built in 1914 by Sir Henry Pellat, a financier who made his fortune providing electricity to Toronto. He later lost everything forcing Hank and his wife to downsize. It’s now open to the public with tours available. This list wouldn’t be complete without Toronto’s most iconic landmark. The CN Tower has various floors that are easily accessible providing great views of the Toronto skyline, including the main lookout levels at 342m and 346m, a restaurant at 351m and a Skypod at 447m. For those wanting a thrill, you could also do the EdgeWalk. 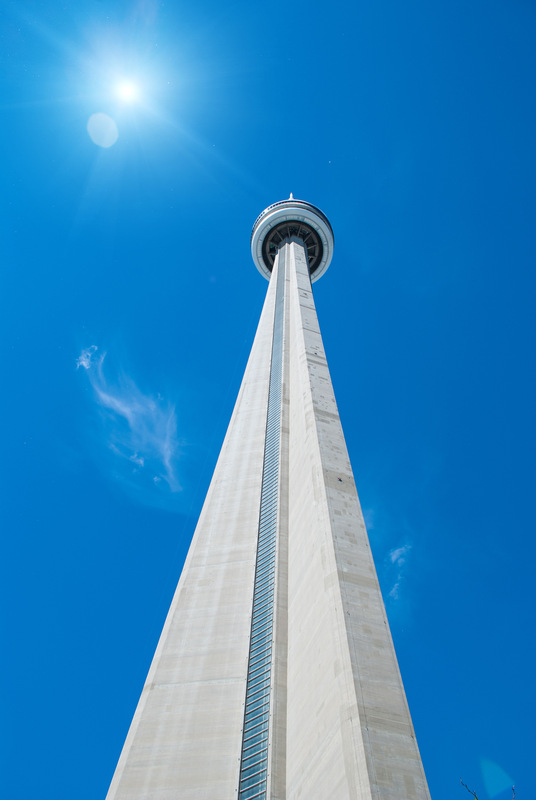 Whether you’re taking a picture from below or from the top, there’s no bad way to take a picture of the CN Tower. 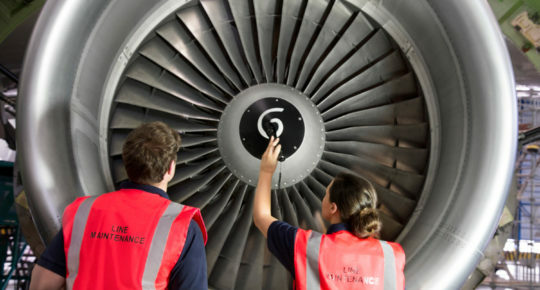 We fly daily to Toronto from Dublin and offer seamless connections from cities across the UK and Europe. 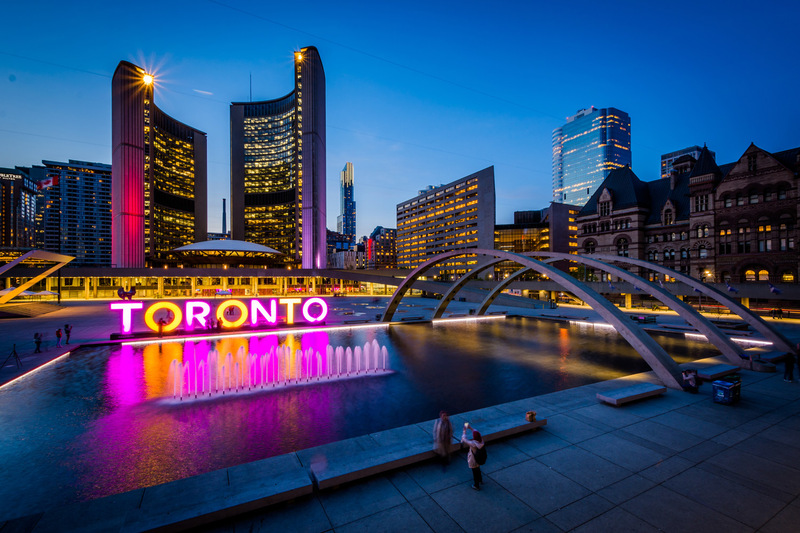 Book your trip to Toronto now at aerlingus.com. 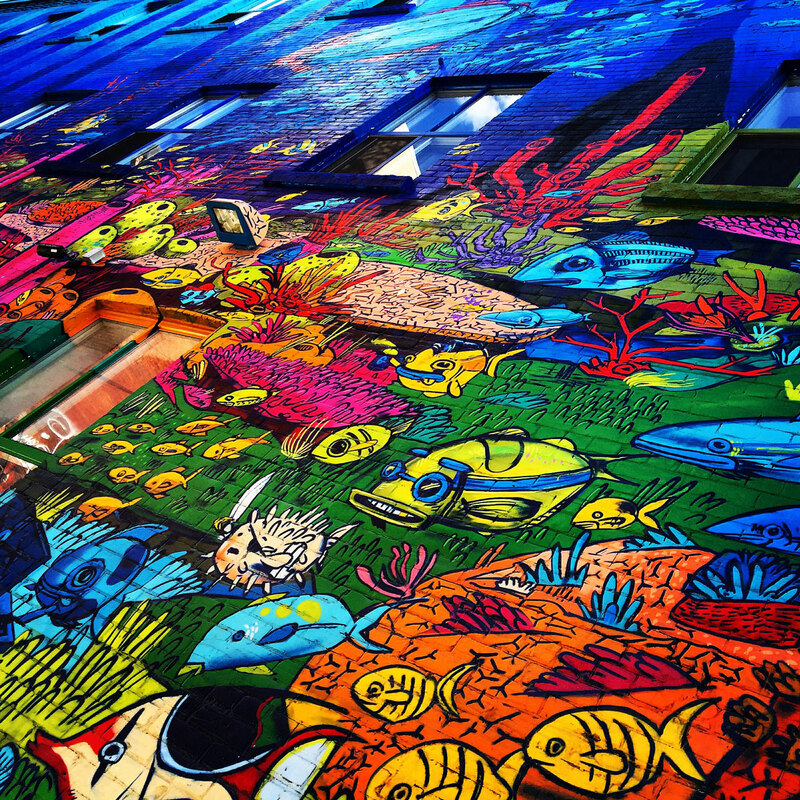 Read next: The 7 most Instagrammable spots in Seattle.